Mount the power supply backplane to the front of the power supply bay. Place the backplane over its standoffs. Press down toward the floor of the chassis. . Secure the power supply backplane with one No. 2 Phillips screw. 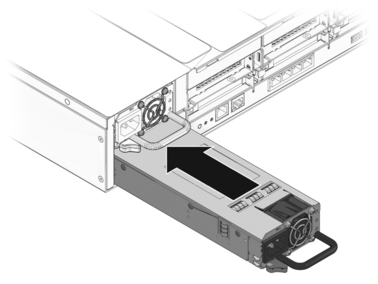 Slide each power supply into its bay until the power supply locks into place.